Cordon Bleu like you've never seen before, delicious! Lay the chicken breasts on a board, spread top side with Philly* and cover with ham. Dip the chicken in flour, then egg mixture. 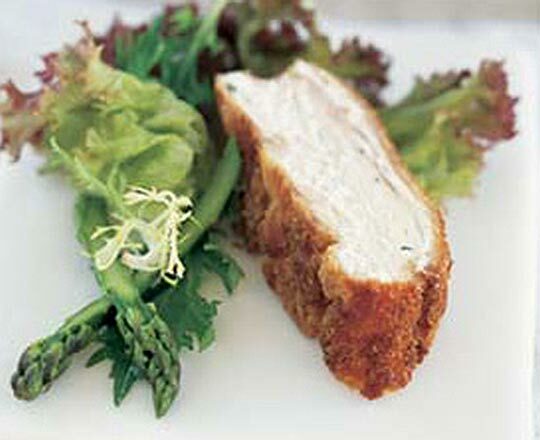 Coat chicken in breadcrumbs and refrigerate for 15-20 minutes to firm the coating. Heat the oil in a large frying pan, add the chicken and fry gently until golden and chicken is cooked through. Serve with a salad.